‘Most of us have blown out candles on a cake and made a wish. But did you realise that’s candle magic? And you don’t have to wait until your birthday to do it. January is the perfect time to focus on what you want from the year. Find a quiet place and concentrate on your wish while lighting your candle. 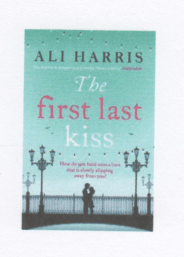 I have just finished reading a really poignant and lovely book ‘The First Last Kiss’ by Ali Harris – took me a couple of chapters to get the hang of how the story was being told, but once in, I just revelled in it. Written in the first person, Mollie (she is a ‘to do list’ person like me) and there is a smattering of her – TO DO lists throughout the book. However towards the end, her partner/husband decided enough was enough and showed her a new way of making a list – a ‘to be’ list. Maybe some of us should try making one of these instead sometime e.g. Back in November I had a wonderful day at an angel workshop run by Chrissie Astell. She is an inspirational lady and one that I would love to sit down with and have a one to one chat. She told us about many things connected to the angels, some of which was totally new and others a good reminder. I will be using some of her information in the next few blogs. These workshops are also a wonderful place to meet like minded people – many of whom had travelled long distances to be there. The reason that I mentioned the workshop, was that she introduced us to an incredible written passage. ‘Truly great friends are hard to find…. Happy, Healthy Chinese New Year! Clutter Clearing, Spring Cleaning, House Detox? The Chinese New Year is arriving!